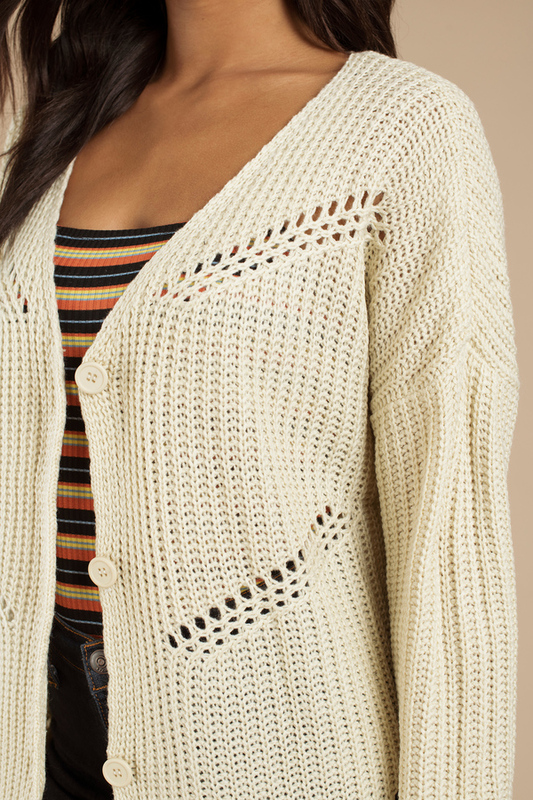 Check out Tobi's Spring Equinox Cardigan Long sleeve cardigan with cable knit and lattice detailing, 5 button front closure and ribbed trim and cuffs. Wear for a casual day out. 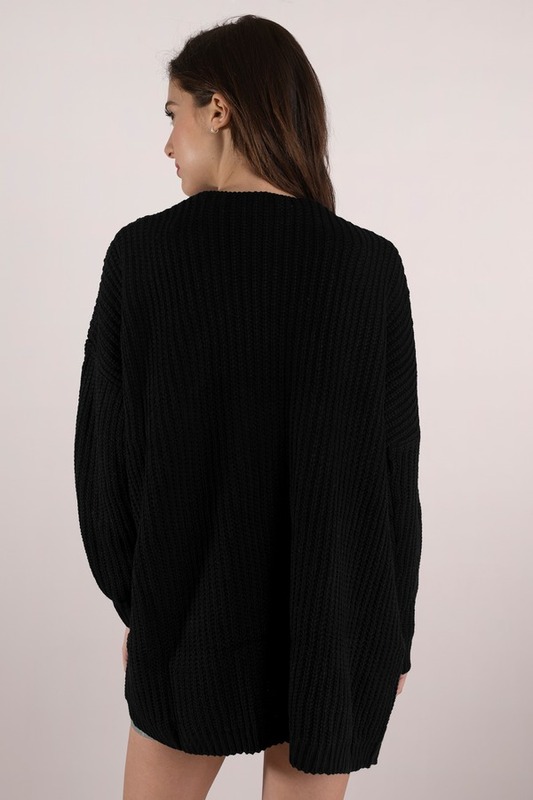 Long sleeve cardigan with cable knit and lattice detailing, 5 button front closure and ribbed trim and cuffs. 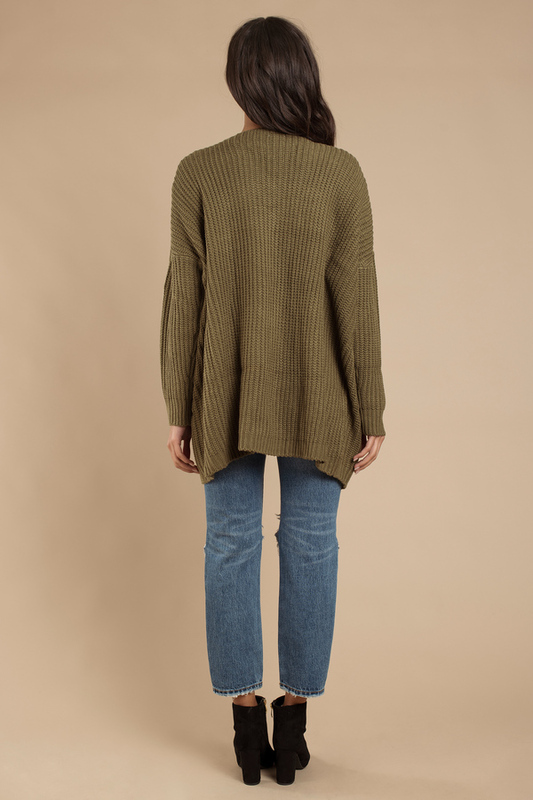 Wear for a casual day out. 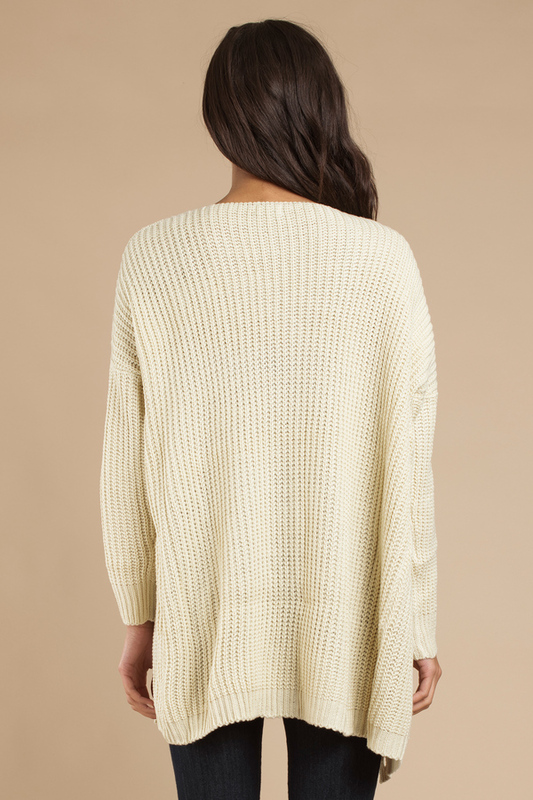 Cream, Olive modeled on a size Small.